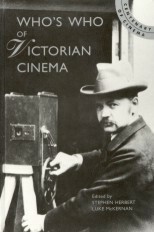 One of the four men who founded the KMCD syndicate which later became the American Mutoscope and Biograph Company; Elias Koopman, unlike his partners (Dickson, Marvin and Casler), had a commercial rather than a technical background, running the Magic Introduction Company which marketed magical toys and optical novelties, including the Photoret pocket watch detective camera invented by Casler and Dickson (Billy Bitzer was a company employee). 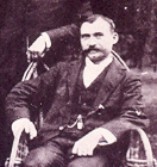 After being involved in the establishment of the American operation during 1895 and 1896, Koopman came to England in January 1897. The 'American Biograph' opened at the Palace Theatre in Shaftesbury Avenue in March, and ran continuously until the end of 1902. However, the agreement that Koopman negotiated with the Palace was unsatisfactory, and although he became Managing Director of the British Biograph Company, he was soon overshadowed by the dominating personality, and greater financial skill of the Chairman, W.T. Smedley. A combination of poor results and a suggestion that he was not spending as much time running the company as he ought to be doing, forced his resignation in June 1903. Koopman continued to trade as a merchant in London until 1927. He then returned to the United States and in August 1929 committed suicide in a New York hotel.